There are so many things that are different with having your third baby. You typically know what to expect with pregnancy, delivery, and beyond. You’ve got other kids in tow. And… you probably have most everything you need, especially if the child is the same gender as at least one of your other kids. Since we have the basics covered, I created my ultimate dream wish list. Not that I want to go full out overspending on such time limited gear, but I am definitely willing to splurge a little on a couple of pieces that will make our lives easier. I decided against having yet another baby shower or even a sprinkle so we will be responsible for buying everything for ourselves. Our friends and family have been so generous on behalf of our other children that it just didn’t feel necessary for our third child. However, I still created a registry on Amazon because even if we buy everything ourselves, most of the items are eligible for a 15% completion discount because we are Prime members (plus we get 5% back with our Amazon credit card). Baby Jogger City Mini GT Stroller System – a new carseat was a requirement because our infant car seat had expired and the matching stroller was falling apart from being abused by two kids. For some helpful car seat guidance, check out this article. Knowing what worked and didn’t work for us really came in handy when choosing a model that better fit our needs. This car seat is less than half the weight of our previous car seat at just 5.82 lbs (my back is so happy!). It can also be taken apart and cleaned, which is one of my requirements. The stroller has a telescoping handlebar so my husband can finally stop stepping on it, and it can be folded with only one hand. Lillebaby Complete Airflow Baby Carrier – For my daughter and my son, I used a Baby Bjorn baby carrier that I liked… for the most part. Once they were each a couple months old and my body had adjusted back to its non-pregnant orientation, however, I found it very difficult to carry them in the front. What I love about this Lillebaby carrier is that you can use it in 6 different positions (more than any other brand I’ve seen on the market). I’ll be getting it in mesh, even though my son will be a fall baby, because I am confident that the breathability of the mesh will suit us better for year-round usage. Get $10 off with this link. BathHaven Bath Kneeler– This was not something that was popular when I had my daughter or my son close to 3 years ago. But when I saw it pop up while perusing other items I instantly knew how ingenious it was. All those years kneeling at the side of the tub bathing the littles have killed my knees… This is definitely on my wish list! 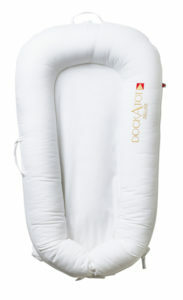 The Dock-A-Tot Deluxe Baby Lounger – All of my friends who have had a baby recently have been raving about this product. I was a little apprehensive at first because of the price but since I won’t have to buy much for this baby, I’ve decided to splurge! I will be using this lounger to cosleep so I will not have to purchase a bassinet or a similar product (I had an Arm’s Reach Cosleeper for my son). And for daytime lounging, I got the toy arch and toys to keep the baby occupied while I try to work (wish me luck!!). Get $10 off with this link. The Ollie Swaddle – Both of my youngest kids were anti-swaddle. It seemed like no matter what I did, whether using a swaddling blanket or a product like a sleep sack, once they were out they wanted nothing to do with being bundled back up once they were free of the womb. Which led to some very unpleasant times for us parents – colic and poor sleep. I have heard wonders about this new swaddle and am totally up for giving it a try. Get 10% off with this link. Baby Bjorn Bouncer – With my son, we splurged on the Mamaroo – which he absolutely detested. This bouncer seems like a great replacement, although it is probably my most skeptical item on the list (as in why would it be so much better than a bouncer at a fraction of the cost?). But like I mention, this is my dream wish list. 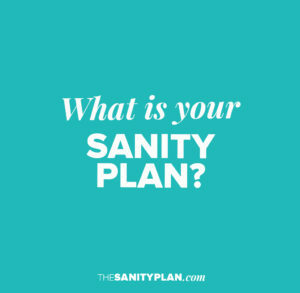 And of course, I’ll let you know if it’s worth the spend! 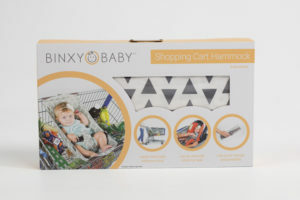 Binxy Baby Shopping Cart Hammock – I intend to be out and about as much as possible with Baby G so when I kept seeing this item pop up in my friends’ feeds, I decided to give it a try. I really like the fact that you can use it for either the baby alone or to support the entire car seat and it can hold up to 50 lbs. I imagine using it mostly for the baby by himself because he’ll be able to relax instead of being squished into his seat for the whole shopping trip. 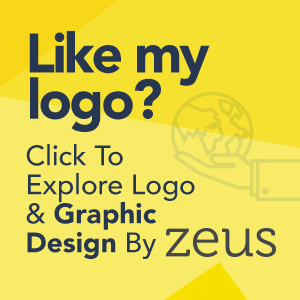 Get 10% off with this link. So, there you have it. A dream wish list for this mama’s third and final baby. I will be sure to let you know how each product works for my son. I’m off to complete my registry and get my completion discount. And the rest is a waiting game. Thinking of signing up for an Amazon registry? Use this link to get a Discounted Prime Membership and save an additional 5% on your completion discount.